Description: Njörðr releasing the wind. 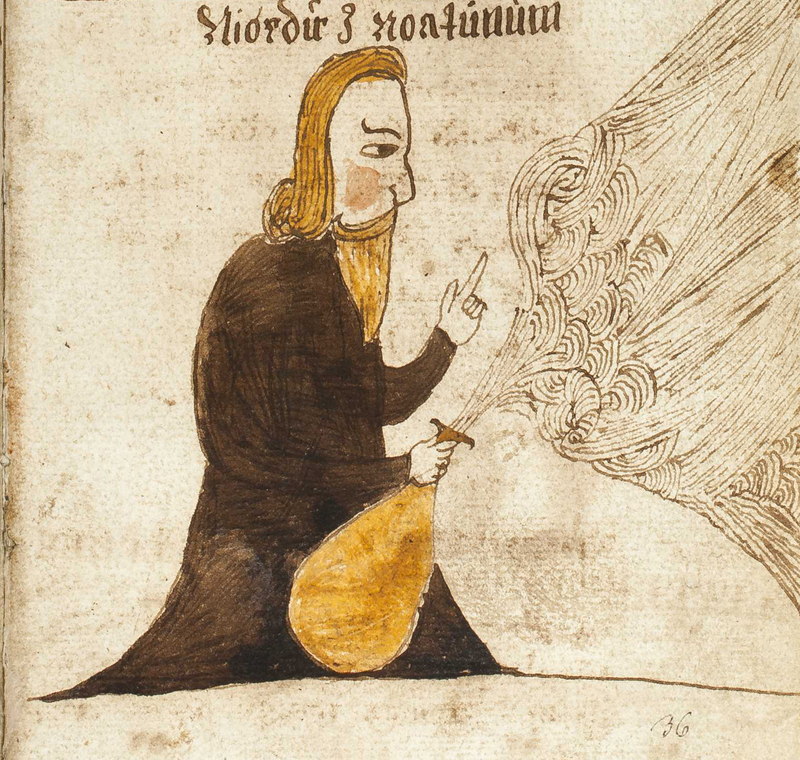 According to Snorri, Njörðr is one of the Vanir. He fathered Freyr and Freyja with his sister and was briefly married to the giantess Skaði. He is associated with the wind and the sea, and can control fire. He lived in Nóatún.